Corrected some of the palettes and added more stuff. I'll add more costumes later, I'm just gonna wait until I have all of them. Haven't posted in a while, here's some EarthBound stuff. 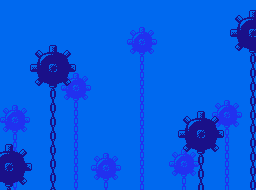 Actual overworld sprites for the Spinning Robo and Kiss of Death. SNES-style versions of the Titanees and Titanian from EarthBound Beginnings. Remaking EB0 enemies, part 2 of ??? Here's a boss for the EarthBound fangame, probably for Magicant or something similar. Unfinished, but posting it here anyway. It's sure been a while! Made this on a whim a while back. Alright, I'm gonna try to get back into Paper Mario stuff. Sooner or later I'll give it actual hurt frames, but this'll have to suffice for now.